I'd like to become a partner at the below level. My gift will be matched by . Please send your company's matching gift form. 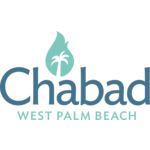 Please send me information about how to include Chabad of West Palm Beach in my will, to ensure an everlasting legacy. Please charge the above amount to my credit card on the first of each month for 12 consecutive months. Please contact me to discuss other payment options.